This particular topic becomes too complicated revealing more of its facets when it comes to being implemented in the Indian Society. The definition is quite understood in a manner that goes absolutely contrary to what truly needs to be conveyed. In obvious terms culture, tradition, customs, and social beliefs do greatly impact the overall ambiance. In India, some take the term ” Women Empowerment” more like a shield to fight against the male dominant society that prevails through ages in the Indian society. Keeping all such hindrances aside, the time has now come to measure the true potential women hold in the society utilizing the versatile role they truly play unknowingly. People commonly make the term ” Home- Maker” more inferior as they don’t see any beneficial outcome of it that can be measured economically, ecologically and socially. In order to translate this common notion into what can totally change the concept, Rural tourism can be one of the most efficient ways that can equally showcase its benefits in all those areas that have never been thought to become an important factor in Women Empowerment. Rural tourism with its ethical concept has today started to show its divine results in North Bengal that have axiomatically drawn the attention of many social initiatives. With the immense effort of many organizations ( That includes us) the growth has today reached a point that is worth to be replicated. The success behind some of the destinations of North Bengal that have picked up their fame as one of the most renowned rural destinations, for example – Samsing- Suntalekhola, Lava- Kolakham, Kumai, Dalgaon, Paren, Takdah, Chilapata, Santalabarie, Tinchuley, Bada- Mangwa, Lingsey and many more, truly sounds to be more deserving specially for the women who have heaved their responsibilities more efficiently than the male members of the families. With all our experiences on the establishment of Rural Tourism units, now we have the same initiative focused for women community members to provide them the workshops and training on Rural tourism. This initiative was thankfully appreciated by the District Rural Development Cell of Darjeeling that is also the implementing department of National Rural Livelihood Scheme of central Government that is stringently focusing on women empowerment in almost all the states of India. This first of its kind initiative was organized by District Rural Development Cell of Darjeeling in collaboration with our Organization, Samsonians Chauthary undertaking the responsibility of whole training. The first targeted area that had also sent the proposal for Rural Tourism Training was Lingsey, a beautiful place located under the sub-division of Kalimpong, under District Darjeeling. Being one of the bordering areas of West Bengal State, Lingsey is surrounded by Sikkim on all sides except and is also the first destination that falls on the way to the famous trekking of Mulkharka lake in Neora Valley National Park. 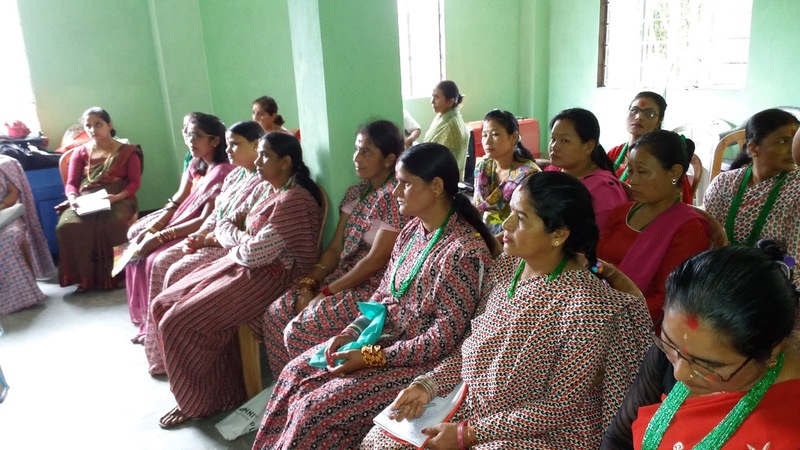 The training was scheduled for 7 Days focusing on the Rural Women of the surrounding areas of Lingsey. 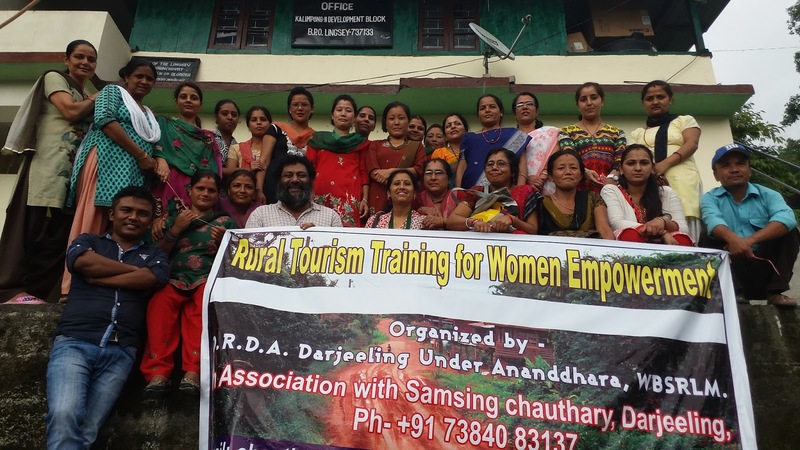 Altogether 30 women took participation and learned the concepts of Rural tourism based on various subjects. The following resource persons helped this training program to be conducted successfully. After the completion of the training, the women participants were also recognized with certificates duly authenticated by the G.T.A Tourism Department and D.R.D.C Darjeeling.